The online lending business model often rests on a wavering foundation, at least according to a recent Moody’s report. 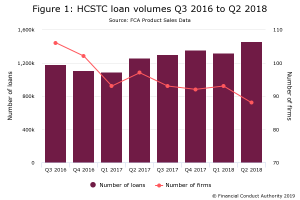 Confidence-sensitive funding and low recurring revenues have left many lenders unprepared to handle market and regulatory changes. This exposes them to great risks which are often overlooked by media and zealous retail investors. While the report underscores a number of vulnerabilities within the industry, it’s paramount to remember that not all online lending providers are created equal. Balance sheet lenders – This time-honored lending model is often not what we associate with “online lending” since it is the most traditional of lending architectures. Lenders retain “skin in the game” by lending their own money, thereby protecting against borderline risk because the stakes are higher. However, because funding for many of these loans in the alternative or online world comes from high-cost sources like venture debt facilities, loan pricing to the borrower has to be much higher to make business models work. And higher loan pricing attracts riskier borrowers. Some alternative balance sheet lenders are able to secure low-cost capital through a bank facility, like OnDeck, and this model can prove to be more successful if loans are well priced to attract higher quality borrowers. Marketplace lenders – The marketplace model is the true buzzword in the online lending industry, and it is employed to solve what the balance sheet model may struggle with. This model allows companies to operate with less risk as they are able to focus on acquisition, underwriting, originating, and servicing, and do not need to raise their own capital to lend. Instead, lending capital comes from a spectrum of investors including hedge funds, banks, and individual retail investors. However, since revenue relies on the number of loans a marketplace lender originates versus ongoing interest income, a rapid push for growth can create volatility in these companies’ structures, as suggested in Moody’s report. Additionally, the funding for marketplace lenders can be confidence-sensitive. Cheaper capital sources get cold feet after seeing defaults increase and demand a higher return for the increased risk, leaving marketplace lenders with the choice of raising prices to borrowers or tightening credit standards. Marketplace technology platforms – Don’t confuse this with the marketplace lending model. Marketplace technology platforms are pure marketplaces that act as liaisons between originators and borrowers, thereby solving a connectivity problem between the two groups. A good example of this is pure P2P lending – so rare in the market today. Retail investors are connected directly with borrowers on a one-to-one basis, protecting them from external risks and allowing them to evaluate ad-hoc default risks. SmartBiz Loans is an example of a bank-specific marketplace technology platform. Small business owners are matched with the right bank to originate an SBA loan, increasing approval rates and allowing borrowers to save time and banks to improve efficiency. As pointed out in an article by the insightful Jason Jones of LendIt, the industry is seeing momentum behind companies transitioning to a “hybrid” model that utilizes pieces of these and other models to maximize profitability and minimize risk. If the industry continues to focus on meeting customer needs through innovation, adjustment, and collaboration with traditional parties like government regulators and banks, we are en route to building a sustainable future for online lending in all its forms.